Has your dentist recently recommended that you receive a root canal in Bristol? Your first thought may be of a painful and unnecessary treatment; however, this could not be further from the truth. Although they have had a bad reputation in the past, the procedure is now no worse than a traditional dental filling. Not to mention, it could be just the thing you need to save your damaged tooth from needing to be extracted. To provide you with the high-quality care that you need, Bristol Family Dental has an in-house endodontist, so you will not have to be referred to another location. Supported by advanced training and qualifications, you can rest assured that you are in good hands when choosing our office. 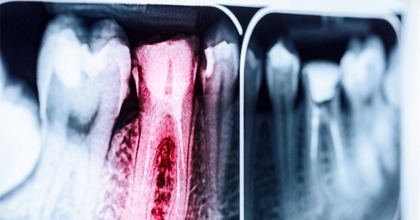 Although root canals are often used as a last resort to save a tooth, more than 15 million are performed each year. They are recommended if you have a severely damaged or compromised tooth that cannot be repaired with any other treatment. If you have a severe break, infection, or significant decay, the treatment is your best option to prevent the eventual removal of your tooth. A root canal is an endodontic procedure that is used to restore the health, function, and appearance of a tooth. After an initial consultation, a comprehensive treatment plan will be created to remove the inner most layer of the tooth, known as the pulp. Using a local anesthesia, the crown of the tooth is opened and any areas of damaged are removed. The pulp is then extracted, and the tooth is sterilized to prevent infection. A special material called gutta-percha is placed into the tooth to seal it. Now, its health has been restored, saving it from an extraction. 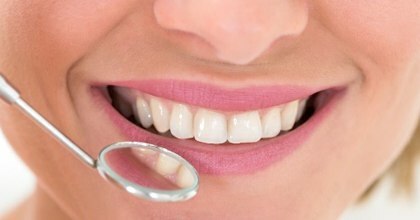 To provide an added layer of protection, a custom-made dental crown will be placed over your tooth. This will also restore its appearance and function. To ensure the highest quality crown and for your convenience, we can perform the procedure in just one day with CEREC. Instead of taking a traditional impression, digital scans are used. These highly-detailed images allow us to create your crown with precision and accuracy. It will be made to match your exact specifications using CAD/CAM technology. We then send this information to our in-office milling machine. The milling machine will cut your crown from a single block of all-ceramic material. In about an hour, it will be made to match your size, shape, and color needs while being strong and durable. After it is ready, it will be bonded to your tooth, providing natural-looking results. There is no need for a second appointment or a temporary crown. Restore your Oral Health Today! 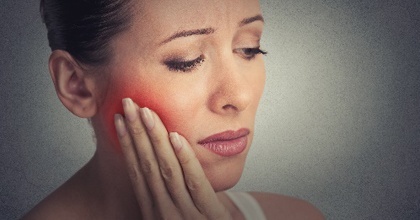 If you need a root canal, do not Google, “where is a dentist near me?” Instead, choose the trusted hands of an endodontist at Bristol Family Dental. We will rehabilitate your oral health and improve the appearance of your damaged tooth using the most advanced technology and procedures. To rebuild your smile, contact our office today to schedule your consultation for root canal therapy.